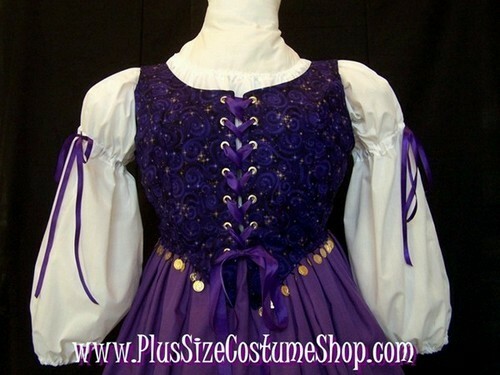 The bodice is made of a gorgeous purple cotton with a swirled moon and star celestial pattern and has shiny gold coins around the waistline of the bodice. It is fully lined and boned at the lacings. It laces up through professional-strength grommets. The peasant shirt is made of white cotton and has elastic in the sleeves and neckline for a comfortable fit. 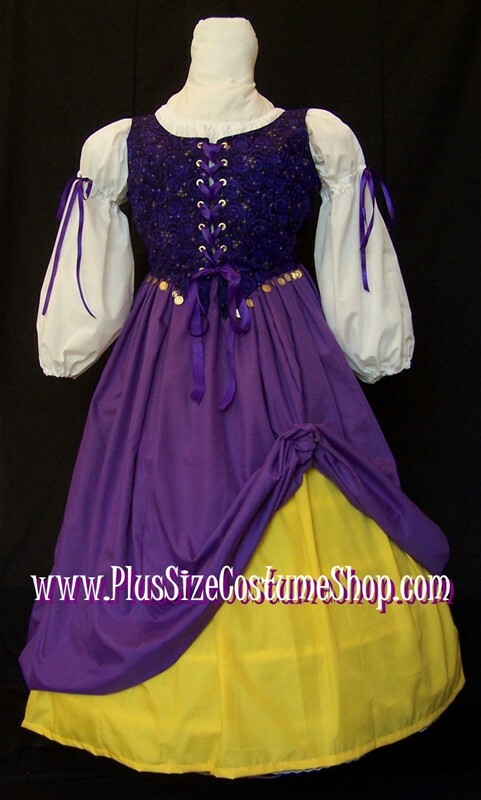 There are casings in the upper sleeves with a purple ribbon for decoration. The shirt length is approximately 32” or hip-length. Two skirts are included with this costume. The first is solid purple cotton and the second is solid sun yellow cotton. The skirts have elastic waists for comfort and will be hemmed to 44” in length unless a specific shorter length is requested. Also included is a pair of skirt pins.